It was not until 1943 that the Baffin Island wolf was recognized as a distinct subspecies by zoologist Rudolph Martin Anderson. Its trinomial name Canis lupus manningi was taken from zoologist Thomas Henry Manning, OC who had spent a year and a half mapping the island. Baffin Island wolves are found exclusively on Baffin Island and a few small adjacent islands. The Baffin Island wolf is the smallest of all arctic wolves. It has a thick white coat which makes it appear larger than it actually is. Baffin Island wolves are omnivorous creatures and will feed on just about anything if they are hungry enough. However, their major sources of food are lemmings, barren-ground caribou, and the arctic hare. They often hunt either alone or a male and female together. 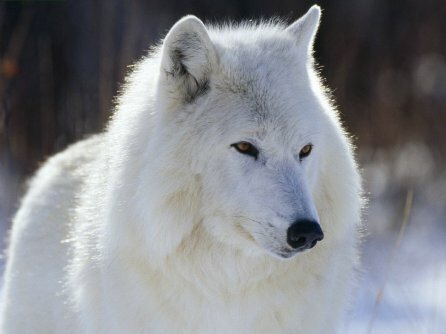 The Baffin Island wolf is listed as endangered.